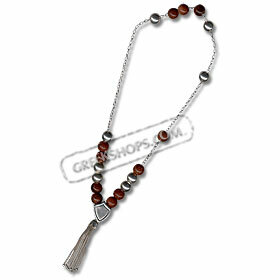 High quality handcrafted sterling silver worrybead set with semi-precious brown goldstone beads. Made in Greece of 925 degree sterling silver. Approx weight 19gr.